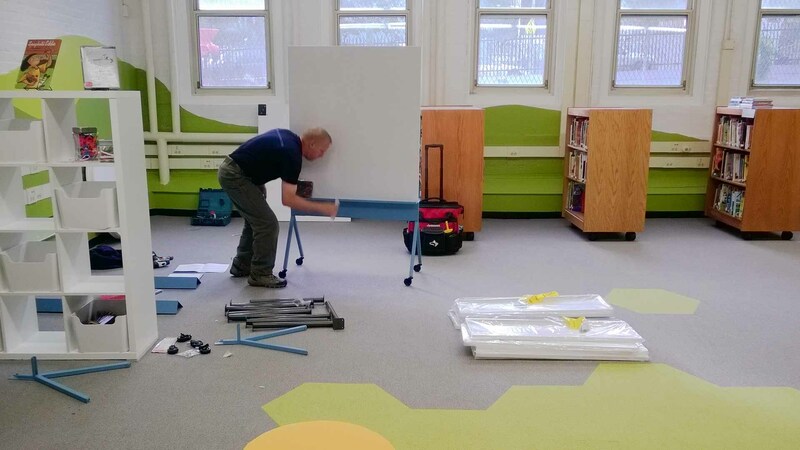 The 380-some students who attend grades K1 through 5 at John Winthrop Elementary School will have the benefit of a beautifully renovated library when they begin the fall term in September. 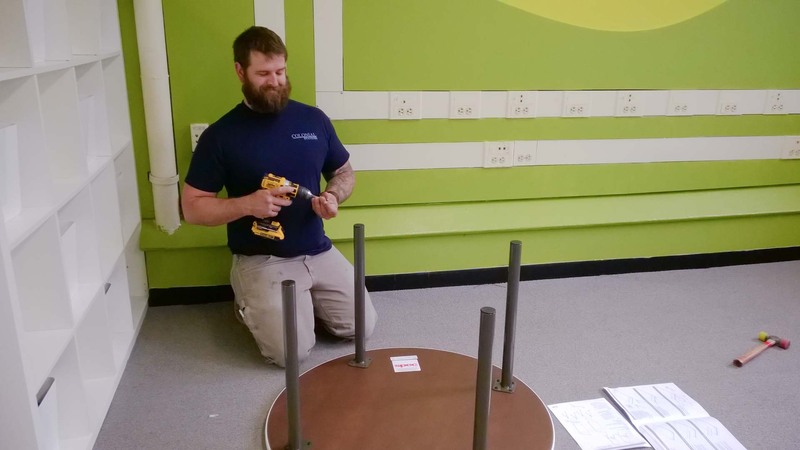 Colonial Systems is proud to have been the furniture installation provider for this exciting community-service project designed and directed by the staff of Gensler Boston in partnership with City Year Boston. 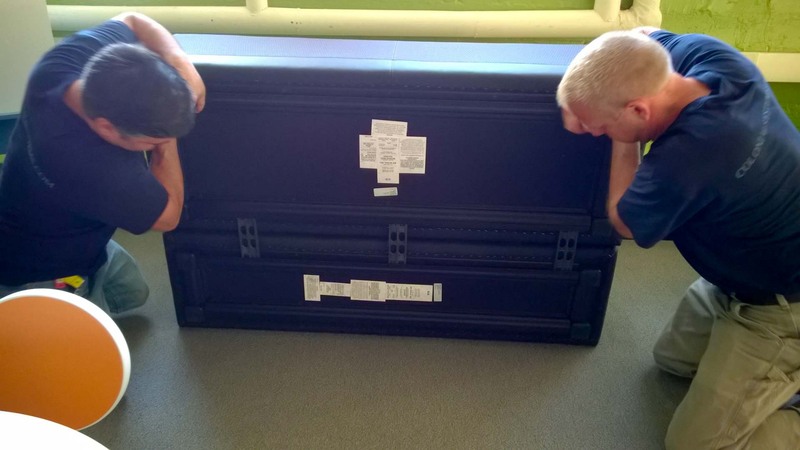 A ribbon cutting on June 10 marked the school library renovation’s completion. 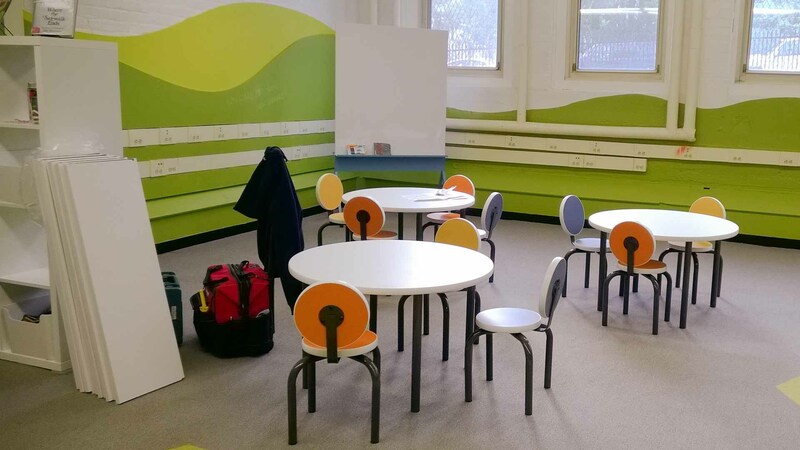 Gensler has partnered with City Year on such projects in seven US cities to date, providing free design services for the renovation of critical learning spaces in selected public schools. 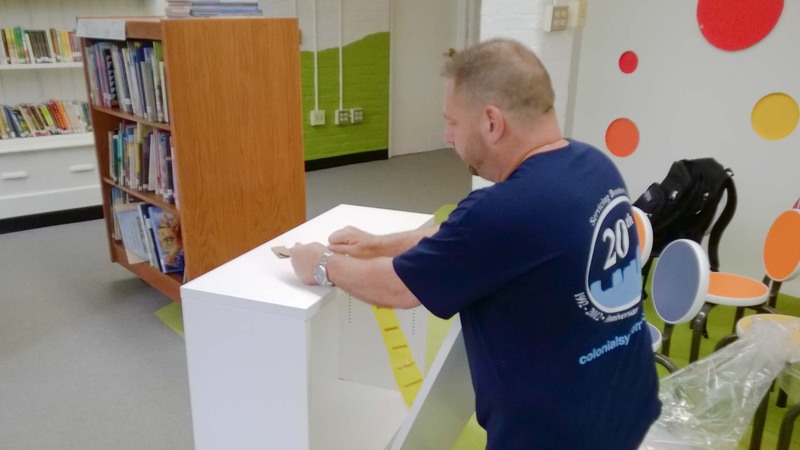 The library renovation at John Winthrop Elementary is Gensler’s second project with City Year Boston. 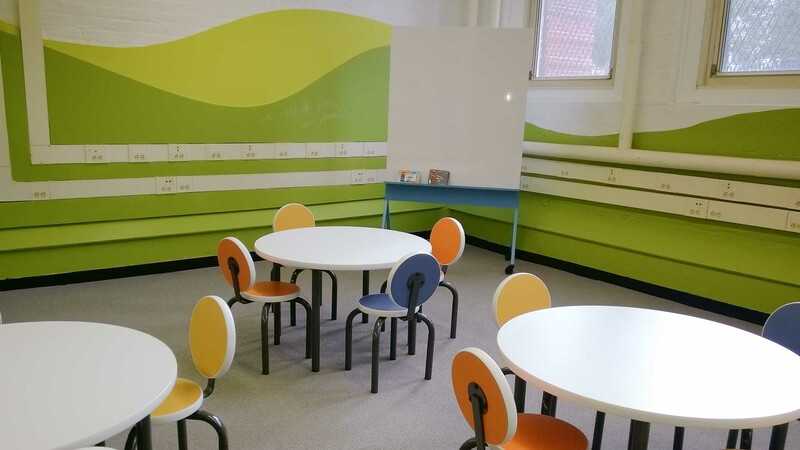 The project was formulated in collaboration with key stakeholders after John Winthrop Elementary’s latest reading test scores pointed to the critical need for a better environment for the teaching and practice of reading skills. 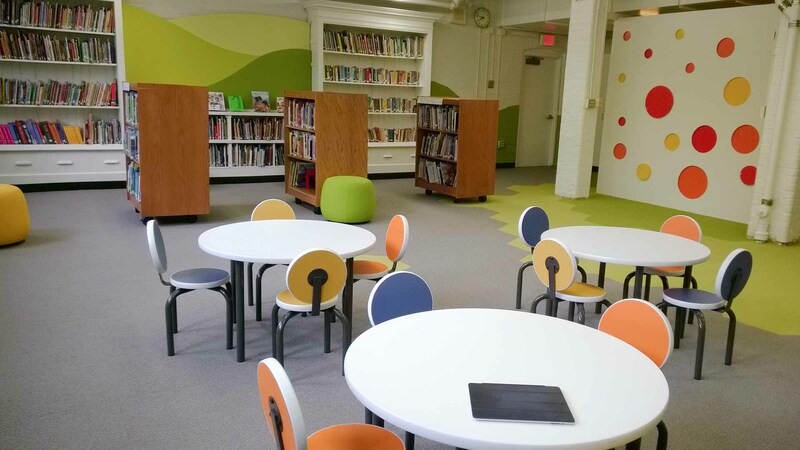 Gensler’s 2014 project with City Year Boston produced a rebuild of the library and study spaces at the Young Achievers Math and Science Pilot K-8 School, a 500-student Boston Public School in Mattapan. Founded in Boston in 1988, City Year is an education-oriented, nonprofit organization that focuses on high-poverty communities where it can help to bridge the gap between what students actually need and the public schools are able to provide. The chief goals are to keep students in school, help them achieve and raise graduation rates. 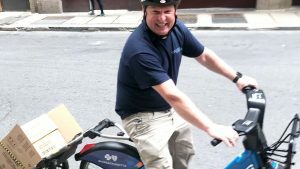 This innovative public-private partnership operates in 26 communities across the US and through three international affiliates (one in South Africa, two in England). 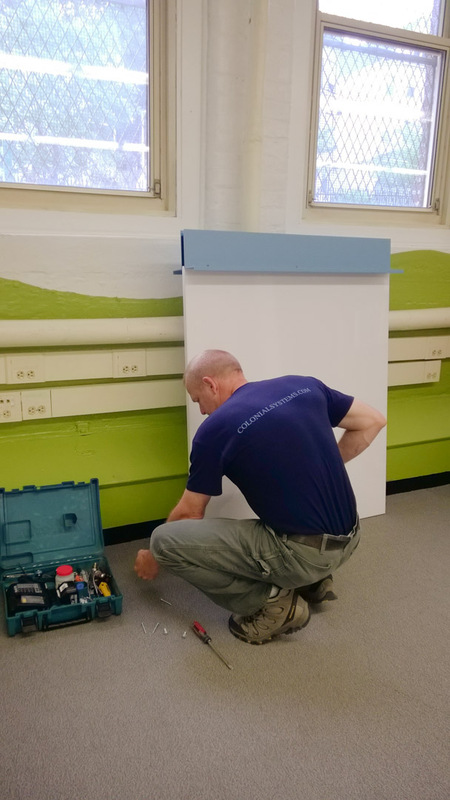 The principal work force for the US programs are AmeriCorps members, 18 to 24 years old, who commit to a year of full-time service in schools. Nearly 3,000 AmeriCorps members will serve in 264 schools this year in such varied roles as tutoring and mentoring children, leading before-school and after-school programs, developing community leaders, and planning and leading transformational service projects. Since its inception, City Year has served more than 1.3 million children, completed more than 26 million hours of service and graduated more than 20,000 alumni, according to information published at the main City Year website. John Winthrop Elementary, a “North Zone” school within the Boston Public School System, is located in the Dorchester/Roxbury neighborhood. The students at the 100-year-old school named for the first governor of the Massachusetts Bay Colony come from neighborhoods throughout the City of Boston, including Dorchester, Roxbury, the South End, Mission Hill, Back Bay, Downtown Boston, East Boston, Charlestown, and Allston/Brighton. 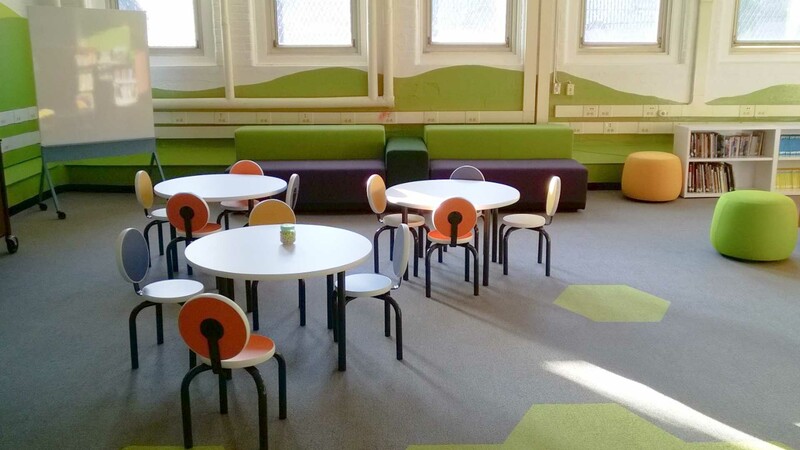 Led by Gensler associate and interior designer Valerie Warren, the Gensler Boston team assembled an impressive set of project partners to implement their design for the renovation of the elementary school library. The Boston office of Turner Construction was the anchor partner for construction and trade services. 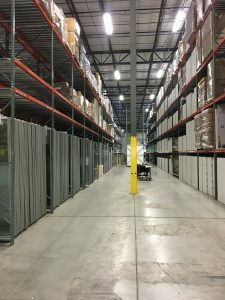 The furniture specified for the project was provided by Office Resources (ORI), a Knoll dealer, and the manufacturer representatives Kerwin Group and RepSource. 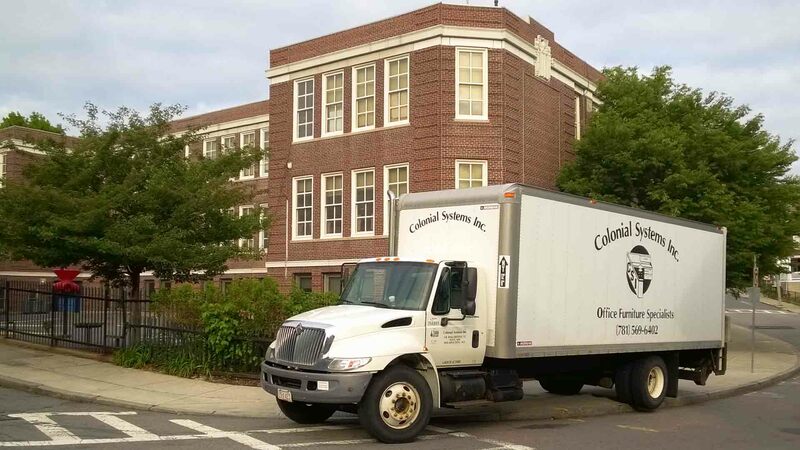 Colonial Systems provided the necessary receiving, storage, delivery and installation services. Our project team consisted of Jeff Ferstler (foreman), Mike Caponigro, Jimmie Ferstler, Steven Kluge and Freddy Morales. Ray Theberge was Colonial’s project manager. 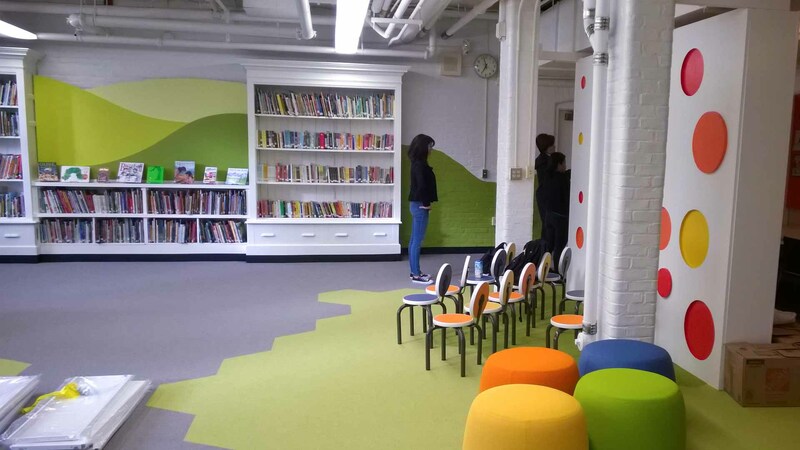 We wish to thank Gensler Boston’s Valerie Warren for thoughtfully inviting Colonial Systems to participate in this project and to her fellow Gensler associate Millie Lizares for making the Winthrop School library renovation smooth sailing from a project management perspective. 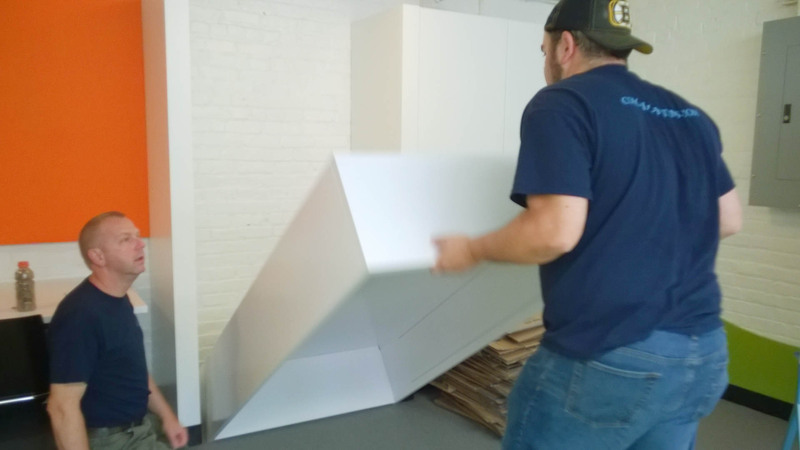 We owe thanks as well to our furniture partners Kevin Barbary at Office Resources, Joe Kerwin at Kerwin Group and Donna Bovi at RepSource for their close and considerate coordination in the ordering and shipment of product.